The Myakka River State Park in Sarasota, Florida is part of the Myakka River waterway, which is 58 miles of natural prairies, pinelands, wetlands, and fertile hammock areas. It is one of Florida’s oldest and largest state park. 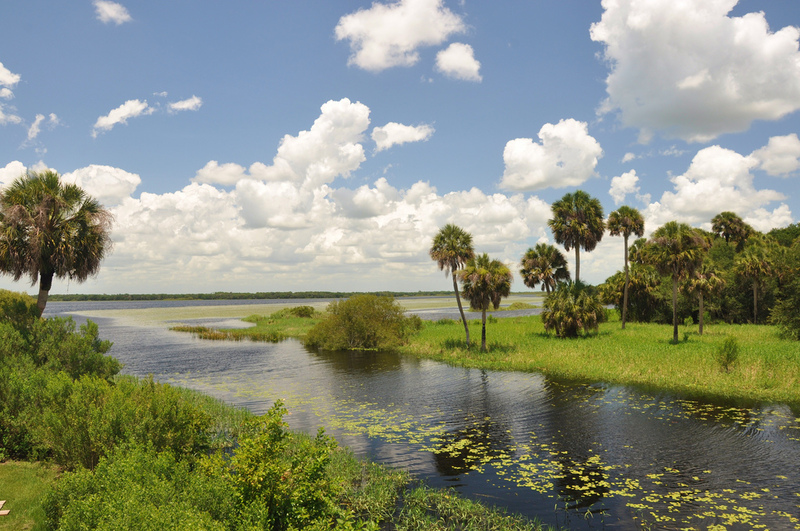 The Myakka River Park provides boardwalks and walkways for people to enjoy its natural beauty. Myakka River Park contains a river and two lakes for boating, fishing in its fresh waters, canoeing, kayaking and plenty of air boat tours. Hiking and camping areas are provided for outdoor enthusiasts who enjoy tenting or the log cabin experience. During the entryway into the Park is an informative visitor center where you are also introduced to Park Rangers. There are also a number of concessionaires sprinkled throughout the Park, especially near picnic locations. The Myakka River State Park also offers Safari Tram tours where a beautiful natural scenic landscape is all around. Sarasota is home to the South Lido Park located at the southern end of Lido Key. Activities within the Park are centered around the waterways that border South Lido Park. Sarasota Bay, Brushy Bayou, Big Pass, and the Gulf of Mexico provides boating, fishing, canoeing, snorkeling, swimming, kayaking, and many other water activities. On its northern tip, visitors are also treated to an observation tower with seated decks where you can view tall pine trees, cattails, and scenic trails for hiking and walking. South Lido Park’s southern area is home to a beautiful white sandy beach area where residents and visitors are monitored by summer lifeguards. Other fun amenities include grilling in varied barbeque pits, rollerblading ramps, volleyball and softball courts. Picnic pavilions are provided with rest room facilities and playground areas for children. A 20 minute ride south of Sarasota is the Oscar Scherer State Park in Osprey, Florida. This park features an open and free nature trail, designed to accommodate the disabled. Oscar Scherer State Park is open year round from 8:00 a.m. to sundown. The Park includes a creek, a freshwater lake, and a backwater stream. Fishing licenses are required for people over 15 years of age. Oscar Scherer State Park invites campers of all levels to enjoy its modern facilities and fully equipped RV campsites. The camping grounds contain hot water showers, restrooms, electricity, and WiFi. Additional activities within the Park include canoeing, kayaking, fishing, hiking, picnicking, children’s playground, and more. The Park’s wildlife is as afraid of you as you are of them, which are bobcats, eagles, indigo snakes, tortoises and migrating birds, specific to southern Florida. The wildlife and native wild plants are under the protection of the Oscar Scherer State Park. On the Sarasota Bayfront is the Bayfront Park which is a family friendly park with a playground for your children, filled with animal statutes which shoots water. Bayfront Park is dog friendly, where they can run around, play, and socialize. The Park entails walking paths which overlook the Sarasota Bay. The Sarasota Marina is a part of this beautiful landscape with a sandy white beach, a boating marina, and an open grassy area, where families can picnic and play lawn games, like frisbee. You can wade right into the Bayfront Park beach area where you might be joined by friendly, playful dolphins. The marina part of the Park, offers canoeing, kayaking, and paddleboats. A walking path which encircles the Park is a great environment for bikers, skateboarders, rollerblading, and view the artwork of Sarasota’s local artists. If you stay til sunset, chartered boats are available for dolphin tours and dining.